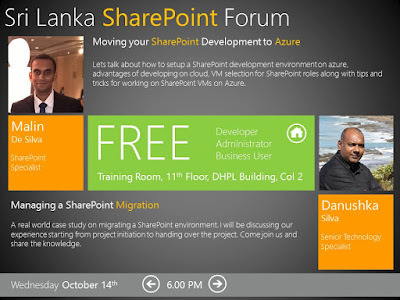 I got the opportunity to speak on "Moving your SharePoint Development to Azure" at the SharePoint Sri Lanka October Monthly User Group meeting held at Microsoft Sri Lanka. Ability to work from anywhere. Easy to scale-up and down when needed. Backup and restore options available. Also many series of virtual machines available gives us the capability to select on which fits the best to any SharePoint Server Role. 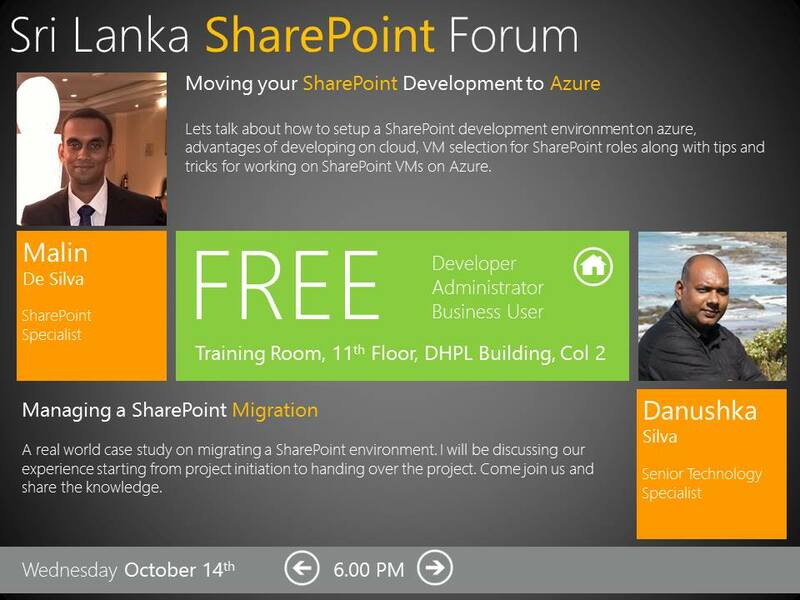 The slide deck for the session is available below.